Emergencies never happen when it’s most convenient—that’s what makes them emergencies. So what should you do when you find yourself needing an appointment now? 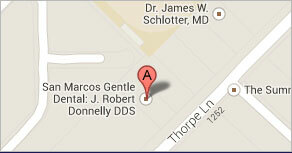 Call San Marcos Gentle Dental as soon as you possibly can. Our team will partner with you to provide care as quickly as possible. In the meantime, while you wait to see us, we can offer you tips that will help you handle your situation in the immediate future. For instance, maybe you’ve just lost a tooth through an accident or injury? Reattachment is possible if we can see you soon enough. Until then, gently clean the tooth with water and try to put it back in the socket it came from. 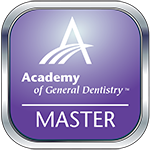 If that’s not possible, preserve the tooth in a bag of milk until Dr. Donnelly can see you at their San Marcos office. Another common emergency patients face is chipping or cracking a tooth. In this situation, after you’ve called us, you should rinse your mouth and apply a cold compress to the area. The compress will help you manage swelling and discomfort until one of our San Marcos doctors can see you. In other cases, we have helped patients with a severe toothache or who had food stuck between their teeth. Or maybe you just need to reschedule a visit at the last minute because of a change in your schedule. We’re happy to work with you and see you as soon as possible. There are some emergencies we aren’t equipped to handle, though. If you think you might have broken your jaw, or if you have cut or bitten your lip and it won’t stop bleeding, you should go to your local emergency room immediately. Are you having a dental emergency, or do you need to see us that day, if possible, for another reason? 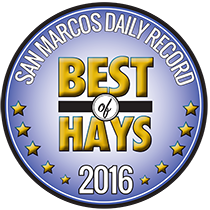 Don’t hesitate to call our San Marcos office to let us know. Once you’re in our office, Dr. Donnelly can assess your health and determine exactly what your needs are. Then we can begin putting together a treatment plan to help you.